The government has set out major changes to the way the BBC is to be run. All employees and freelancers who earn more than £450,000 will be named, although salaries will only be revealed in "broad bands". 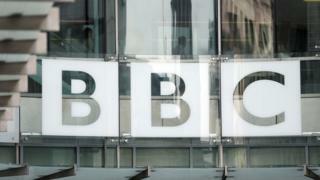 The BBC will continue its current practice of publishing details of managers with pay packages of more than £150,000. The "iPlayer loophole" will be closed - meaning people watching BBC programmes on-demand must have a TV licence. The licence fee will continue for at least 11 years, and will increase in line with inflation until 2021-22. It is "likely to become less sustainable" in the longer term. There are no plans to replace the licence fee with a subscription model, but the BBC will be given an opportunity to consider and explore whether to make any of its content available on a subscription-only basis. Ofcom will become the external, independent regulator of the BBC - although the government will provide "guidance" to Ofcom on "content requirements". There will be a new "unitary board" - replacing the external BBC Trust and internal BBC Executive - responsible for ensuring the corporation's "strategy, activity and output are in the public interest". Editorial decisions will "remain the responsibility of the director general", while the unitary board will consider any "issues or complaints that arise post-transmission". The BBC will be required to give "greater focus to underserved audiences, in particular those from black, Asian and ethnic minority backgrounds and from the nations and regions which are currently less well served". A new mission statement for the BBC: "To act in the public interest, serving all audiences with impartial, high-quality and distinctive media content and services that inform, educate and entertain." The charter period will change from 10 to 11 years, to remove it from any political cycle. There will be a "health check" during the charter period to "make sure things are working as they are supposed to". The BBC World Service's annual funding of £254m will be protected for five years and, as announced last year, it will get an extra £289m of government funding over the current Parliament. Programme making will be opened to greater competition. The possibility of production by independent companies will exist for all BBC programmes except news and some parts of current affairs. The government will pilot a new fund for certain types of public-service programmes - including high-quality children's TV - that production companies can bid for and show on free-to-air TV channels other than the BBC. The National Audit Office will have a "stronger role" in looking at how the BBC spends its money.